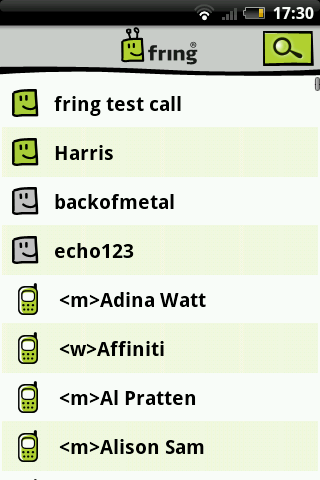 Fring for Android differs itself from competing IM clients on Android by also containing some VOIP goodness to separate it from the crowd. It is essentially a communication app: however you want to contact your friends, it can be done from Fring (well, with the exception of SMS). Your phone’s normal cellular calls can be initiated from the application. You can even sign in to Twitter and have new tweets come in via a single chat window, with any outgoing messages being sent to Twitter as tweets to your followers. Okay, so this is by no means the most beautiful or fully-featured Twitter client, but if you don’t want an additional Twitter client taking up resources then it may be enough for you. Once you’ve set up a Fring account and have logged in, adding an IM or VOIP service is a simple as going to the Add-ons menu, choosing a network and entering your login details for that service. 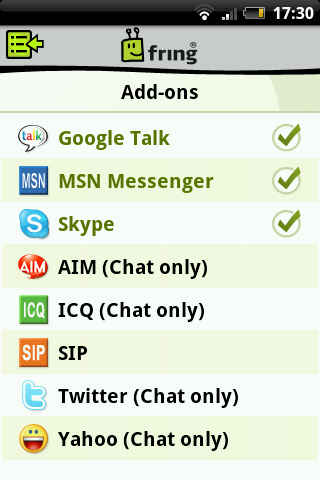 IM works as you’d expect, but if the IM network has VOIP features, you can call any of your contacts on that network. You can also log in to Skype, or use SIP to add other Voice-Over-IP services. Having only tested Skype to call a normal landline, there seemed to be a substantial delay between one party speaking and it being heard at the other end. This could be due to Skype itself or Fring, but as I do not use Skype on a regular basis I’m not completely sure of the cause. The main reason I don’t make Skype calls often is due to the number of inclusive minutes I get on my tariff. This point leads me to the main reason I feel that the VOIP features are not going to be essential for a lot of Android users: The situation may be different in your region but here (UK), if you have an unlimited data plan included in your tariff, then chances are you also get plenty of free minutes to landlines or any other national mobile network. If you often make calls to friends or loved ones overseas then the ability to use Skype or other VOIP services from your mobile will be a big plus. But for many people I would expect that the main draw would be the chat features which are delivered in an efficient and visually clean manner. 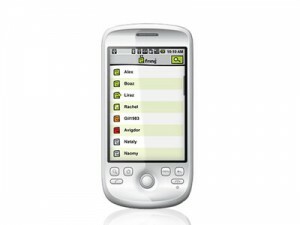 Presentation: Clean, attractive and uncomplicated, the UI is perfectly suitable for the needs of the application. Value: It’s free! If you have an unlimited data plan, the only cost could be for using your VOIP service of choice. Stability/Resources: No noticeable stability issues or slowdowns. Bottom Line: If you’re primarily interested in finding an IM client and are desperate to keep in touch with friends on chat networks not available in Fring, such as MySpace or Facebook chat, then a different app, such as Meebo, might be your best bet. 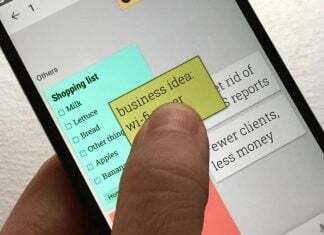 On the other hand, if Â the ability to use Skype and other VOIP protocols on the move would come in handy to you, then Fring is an simple-but-attractive app that will keep you connected to friends, family & colleagues.